A pair of notorious Russian phone pranksters known as Vladimir Kuznetsov (Vovan) and Alexei Stolyarov (Lexus) have posted a video of their talk with a new victim. This time it was a conversation with US Congresswoman Maxine Waters (D-California), the one who'd earlier claimed that "Putin is continuing to advance into Korea." By introducing himself as "Volodymyr Groysman, Prime Minister of Ukraine, one of the pranksters started off by informing the clueless Congresswoman that President Putin has now invaded both eastern and western Ukraine, bringing his regular army into the cities of Donetsk and Lvov (Lviv). However, what made the conversation go viral online is the caller's claim that Russia has interfered in the internal politics of Limpopo. Russian hackers, he said, broke into the server of the vote-counting system in the African country of Limpopo, and installed "their political puppet Ai Bolit" as president, "doing more damage to the poor country than they did to the US." 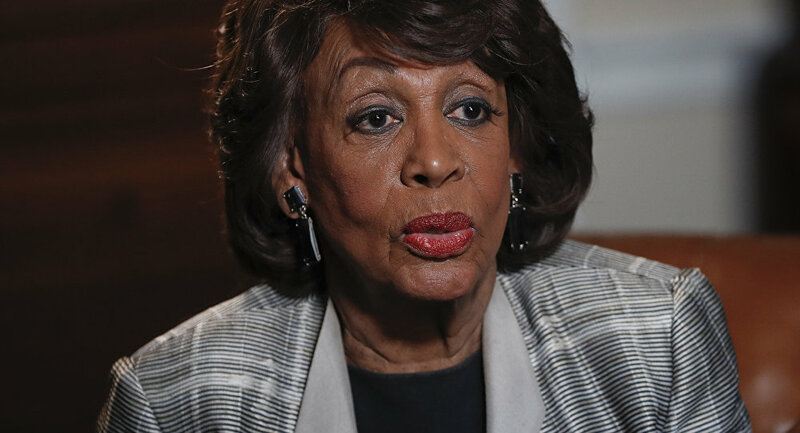 Maxine Waters took the news without any surprise, so the prankster went even further to claim that Putin's advisers, Vovan and Lexus, were in charge of the operation. The acting president of Limpopo, the prankster continued, who lost the elections, is now afraid for his life and wants to move to Ukraine. What made the conversation go viral was that, in fact, Limpopo is not a country but rather a river in South Africa which featured in the popular Soviet children's story, Ai Bolit written by Korney Chukovsky. — Бармалей (@LimpopoBarmaley) 13 февраля 2017 г. ​Ai Bolit, whose name can be translated as Ouch, it hurts, is not an African dictator but rather fictional kind doctor who rushes off to Africa to treat sick animals. In many ways he is similar to Doctor Dolittle, the character created by Hugh Lofting. The character has become a recognizable feature of Soviet and later Russian culture. The doctor's appearance and name are used in the brand names, logos, and slogans of various medical establishments, sweets, etc. — Петрович (@SPb_Petrovich) 13 февраля 2017 г. ​Ai Bolit's antagonist, the evil pirate Barmaley, became an archetypal villain in Russian culture. Hence, within minutes there have appeared accounts of both Ai Bolit and Barmaley in the social media. The users have rushed to tweet for the famous characters. One of the users offered the doctor's presidential program: "My program of further development is very simple: the whole savanna goes to the monkeys, all the swamps to hippopotamuses, meanwhile all the elephants get hit on their ears and zebras – on their ribs." Это #Айболит. Моя программа развития проста: Всю саванну — обезьянам, все болота — бегемотам, слонам — по ушам, зёбрам — по ребрам! — Айболит (@ajbolit_limpopo) 14 февраля 2017 г. ​Meanwhile "Barmaley" posted a picture of "thousands of Americans who took to the streets in support of the legitimate government of Limpopo and against the Russian aggression towards his home country." — Бармалей (@LimpopoBarmaley) 14 февраля 2017 г. ​Russian Foreign Ministry Spokesperson Maria Zakharova also was quick to respond. "President Ai Bolyt from Lim-Po-Po country… Russian fairytales are becoming truth. God, don't leave America!" reads the post on her Facebook page. Commenting on the conversation, Vladimir Kuznetsov told Sputnik that the constituetns of Maxine Waters' home district should certainly listen to the conversation. "A congresswoman represents the interests of her home country. People should certainly listen to the nonsense told by the person who represents California, one of the largest US states, with a population of 35 million people," he told Sputnik. He further explained that it would be normal for her not to know political geography and the world if she was only involved in the internal affairs of California. However she often tweets about Russia and Ukraine and the alleged Russian aggression, anti-Russian sanctions and so on. "If you are involved in the US foreign policy and make some foreign policy remarks without knowing elementary geography, it is stupid and idiotic," he said. — Barmaley (@Barmleyofficial) 14 февраля 2017 г. ​The prankster admitted that the idea to call Maxine Waters came after they heard her comments about "Russia's advance in Korea", out of curiosity, to learn whether she really meant what she said. In a separate comment on the issue, political analyst Alexander Kon'kov noted to Radio Sputnik that "we thought we have reached the limits of absurd, however no." — Зоя Смирнова (@kayzerova) 14 февраля 2017 г. ​"I think it is becoming clear to all thinking people, to those who try to rely on common sense, that the issues of Russia's influence on the matters of other countries could be seriously discussed only by fringe politicians or by people with blinkered consciousness, like congresswoman Maxine Waters," he told Sputnik. He further noted that she has all the chances to be ranked among such people as Jennifer Psaki as she has demonstrated her political impropriety.